Last spring we posted about On the Go Water Flavor Enhancers and wondered who the next brand would be to launch in the space. Perhaps we should have asked which brand wouldn’t be joining the space. After a recent trip to our local grocer, it was apparent that the category has exploded – with retailers devoting several feet of prime eye-level shelving to it. 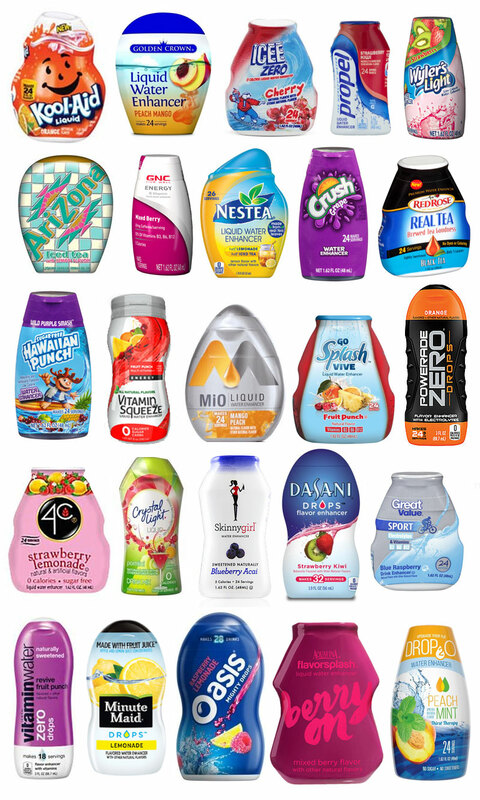 The category started with Kraft’s MIO Liquid Water Enhancer and has since spread from fruit drinks to iced tea to energy drinks. The category has even extended to artificial sweeteners. Due to the rapid success and growth rate of the category it shouldn’t come as any surprise that 2014 was the year that flavor enhancers moved beyond water. 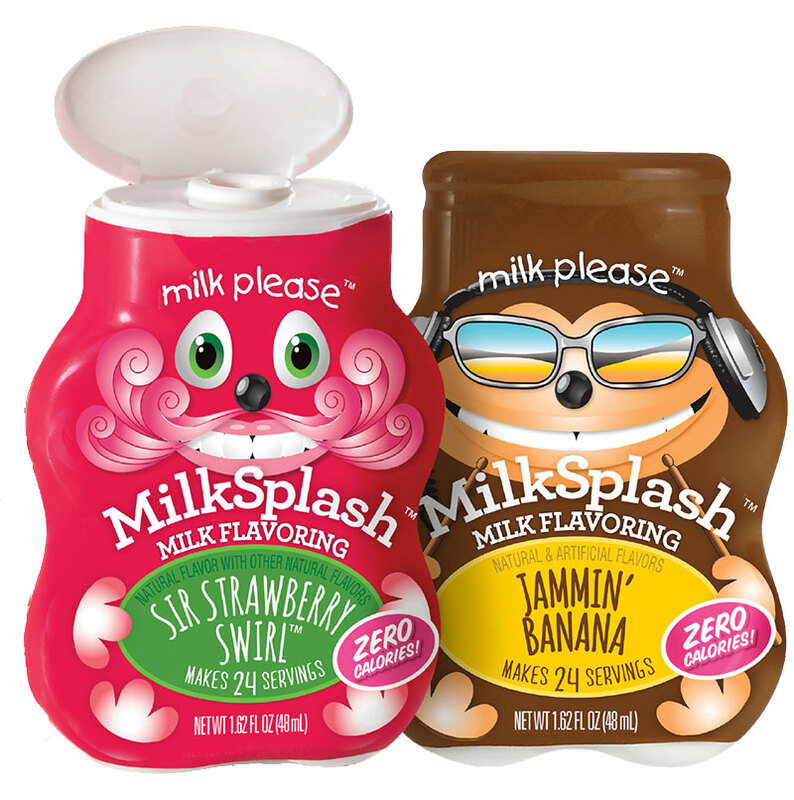 MilkSplash “makes drinking milk awesome!” with its kid-friendly packaging and flavors like Cookies n’ Cream, Jammin’ Banana, and Cocoa Loco. They’ve even created the portable packaging into miniature characters like Sir Swirl, a pink mustached strawberry flavored creature. MilkSplash can be added to cereal, milkshakes, smoothies, or a plain old glass of milk for added fun. Clearly developed in hopes of persuading kids to drink more milk, the packaging is easy to use, portable, and can be easily tossed into a lunchbox or backpack. 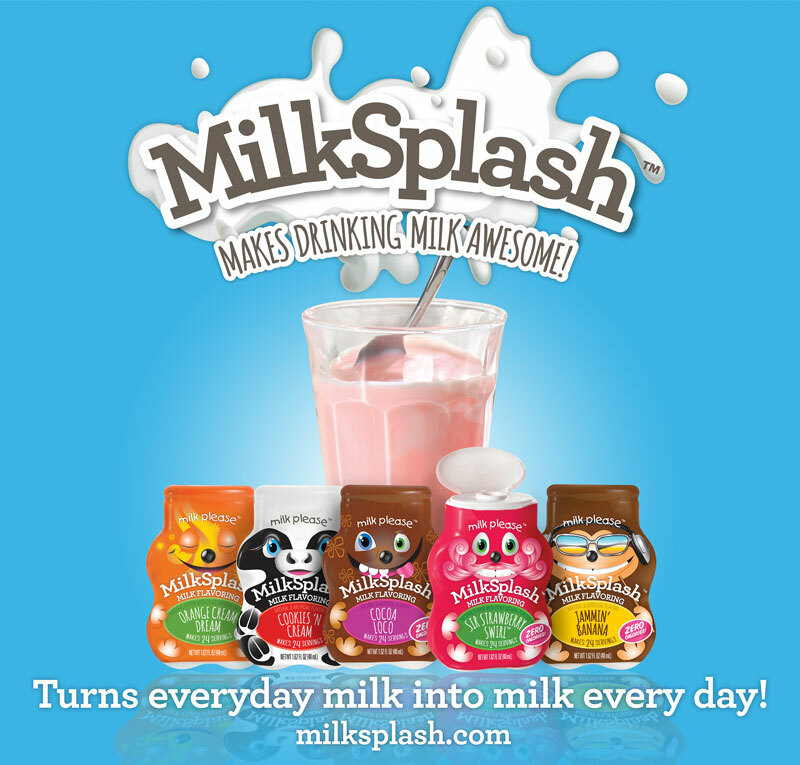 MilkSplash was launched in March 2014 by S&D Beverage Innovations. While this new entry into the land of flavor enhancers may be for kids, the next two are clearly directed towards adults. 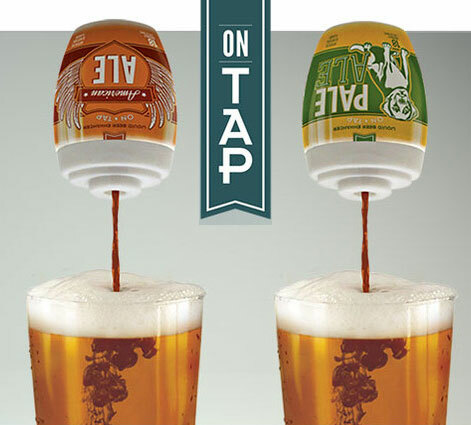 Last year OnTap Beer, a Colorado-based startup launched their own non-alcoholic liquid beer enhancers. OnTap flavor enhancers were created to help make ordinary beers taste more like craft beers. In the age of customization, OnTap argues that flavor enhancers are easier for crowd pleasing than trying to purchase a range of beers to meet everyone’s preferred taste. 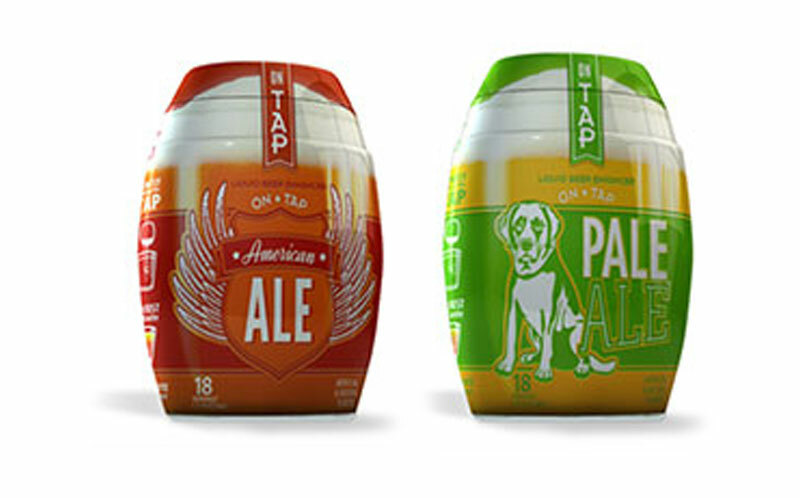 OnTap launched in two flavors, American Ale and Pale Ale. 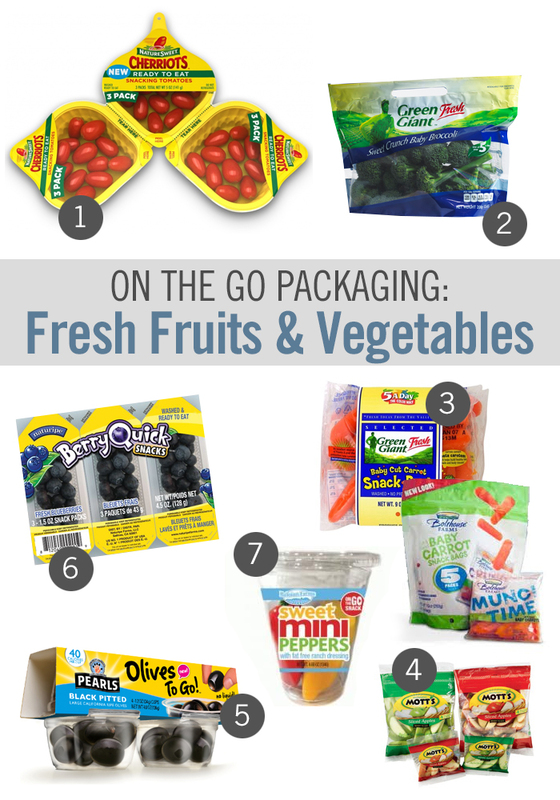 The hand-held packaging is portable and pocket-sized, easily brought to a ball game, a party, or poolside. But the newest face to the world of flavor enhancers is a caffeinated one. 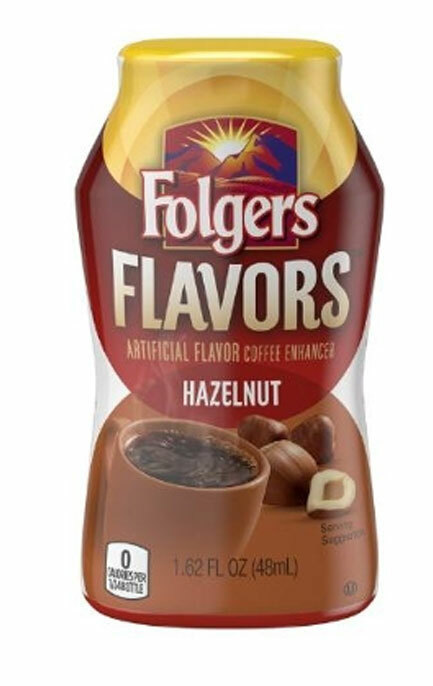 Folgers Coffee launched a new line of liquid flavor coffee enhancers in September 2014. 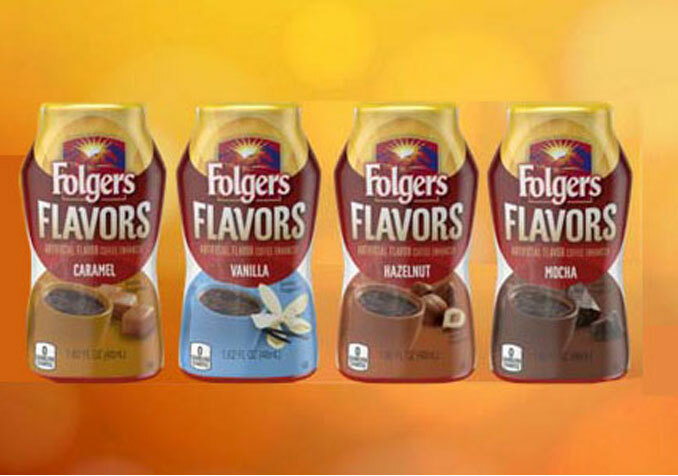 Folgers Flavors are available in four flavors: Vanilla, Hazelnut, Caramel and Mocha. Water, milk, beer and coffee. Where will liquid flavor enhancers go next? We all know the phrase see Spot run. Even the youngest of children know that dogs are always on the go. With daily walks, and the occasional trip to parks, hikes, or errands around town, consumers that own dogs are regularly away from home with their pet. Many of them choose to bring dog treats with them, as a reward or training tool. Recognizing this large consumer sector, Big Heart Pet Brands recently launched a new on the go pet treat dispenser with PetSmart. The hand-held dispenser has a re-closable lid that slides open to easily dispense treats with one hand. 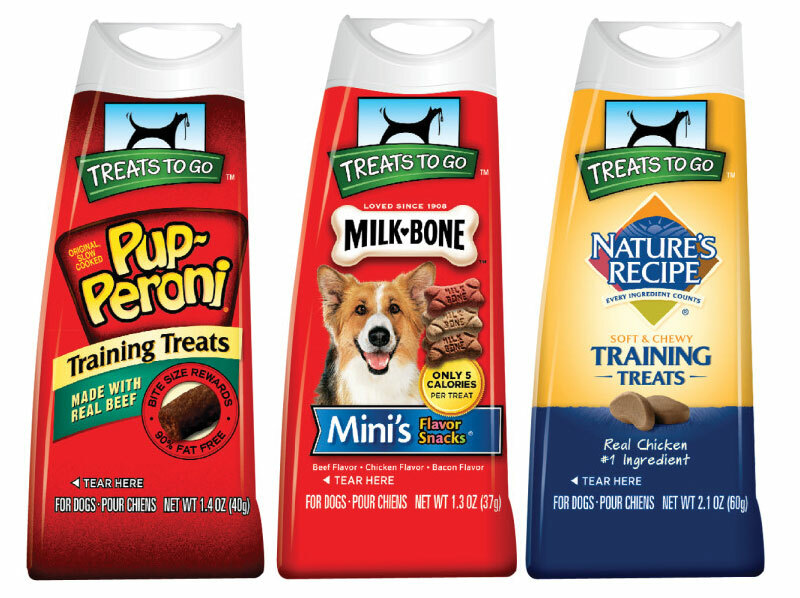 The rigid container protects treats from crushing and can be clipped to a dog leash. Big Heart is advertising this “convenient, portable, and mess-free” dog treat dispenser to use on walks and hikes, your backyard and parks, on road trips and vacations, and for training your pet. Considering consumers are always taking their dogs on the go, there is surprisingly little when it comes to single-serve or on-the-go packaging. 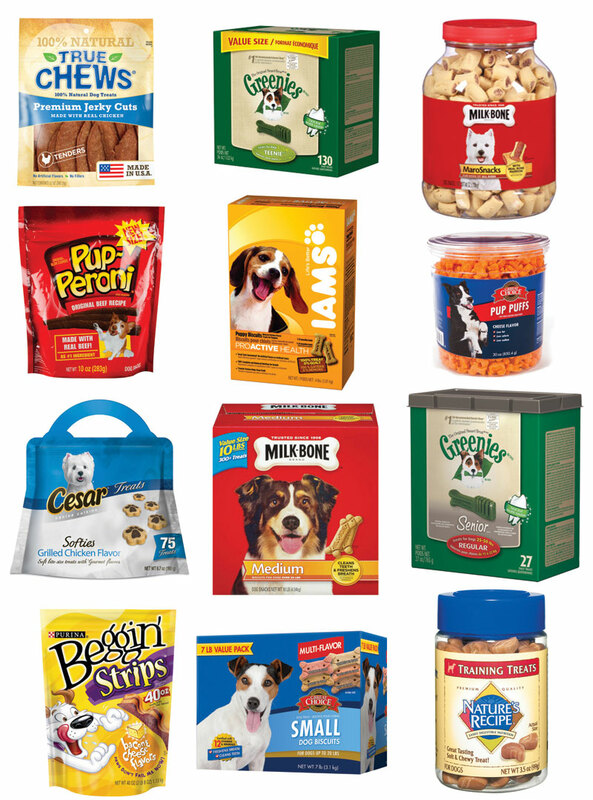 A few brands provide individually wrapped dog bones or treats, but most brands sell their pet treats in large boxes, pouches, or plastic canisters not suited to using away from home. As a result, most consumers are forced to come up with their own solution. Most often they keep a few dog treats in their pocket – which only leads to a crumbly mess discovered a day or two later. Some consumers purchase secondary products designed to take pet treats on the go. 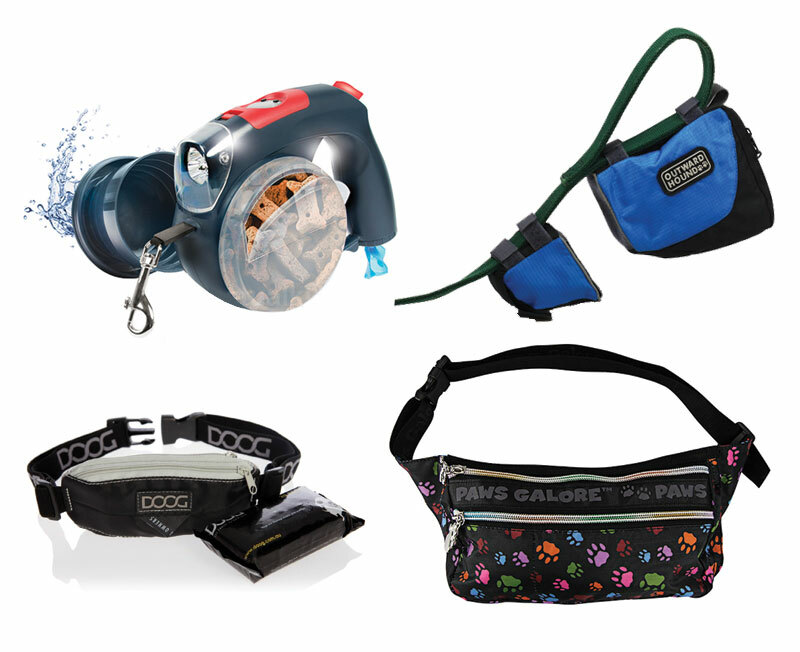 There are many drawstring or velcro bags available to fill with pet treats and carry with you while walking your pet. Some consumers go one step further with their pet treat gadgets. There are a number of specialty items that incorporate treat containers into leashes or ask that the dog-owner wear a belt or fanny pack to carry treats with them. As you can see, pet treat brands offer little-to-no on-brand solutions away from home and most consumers are forced to find a secondary, or even homemade solution. How do you take pet treats on the go?